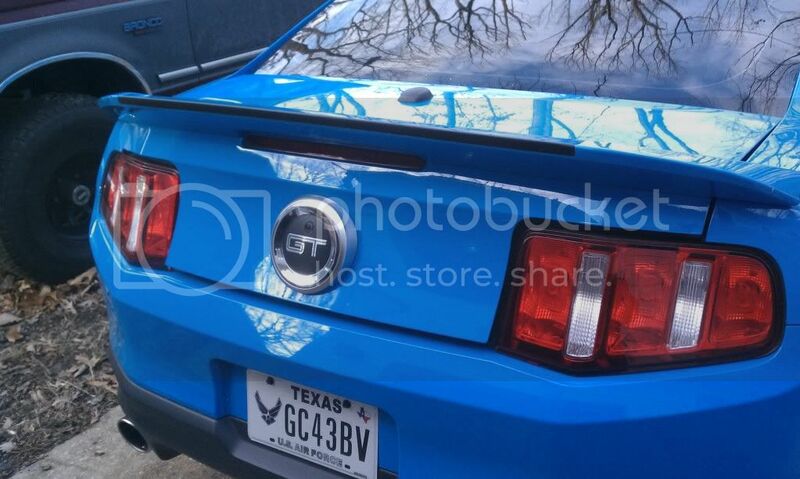 So I finally made it home from my deployment and got around to installing my GT500 wing and moving the camera to the gas cap emblem. The hardest part of the whole process was removing the factory wing. 1st I removed the factory wing with fishing line and a razor blade. It probably took me an hour to get the wing off. The camera was simple to pull out of the spoiler. Then I pulled off the trunk release thing thats behind the gas cap. 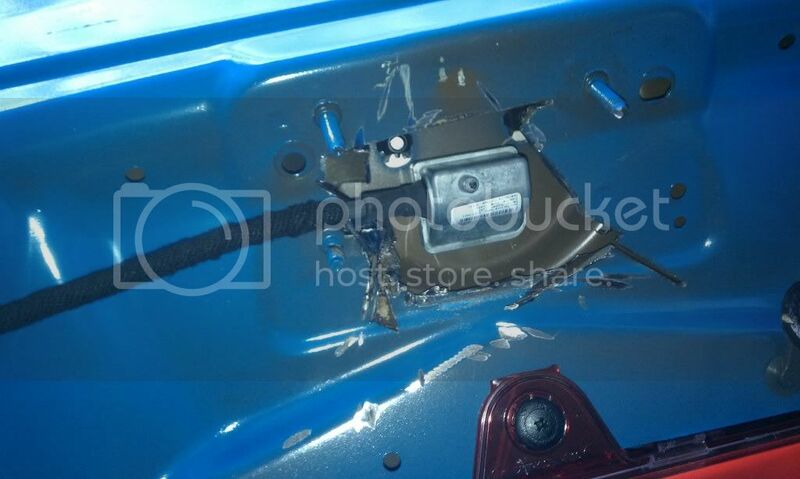 I cut off the thin layer of metal covering everything to be able to fit the camera behind the trunk release. I think the hole was a little over 3/4" to fit the camera in. The cut looks kinda ugly, but you can't even see it once the release mechanism is reinstalled and definitely not after the carpet cover deal is put back on. It came out pretty good I think. I still need to mess with it a little, but for now I am happy. Also I was really impressed with how well the pre-painted wing color matched, and that they painted the one part black. I got it from CJ Pony Parts. It's the 3d carbon one. 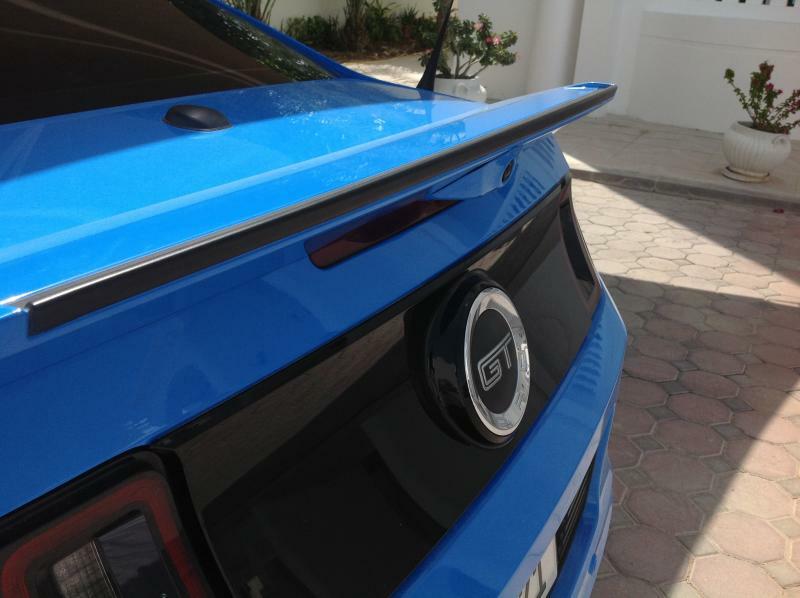 The reason I didn't buy my 2012 with a backup camera was because I wasn't able to put a GT500 spoiler on it. Did the holes match from the camera spoiler or did you have to add any? sorry to bump an old thread, but what can I use to cut the metal? I am gonna do this, anyone tried it before and care on sharing some tips? 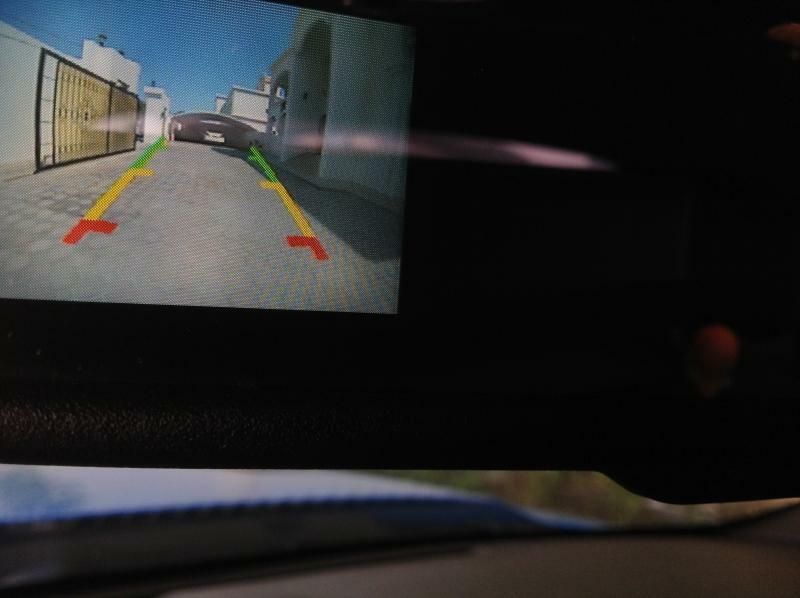 BHD do you know if your car is pre-wired for the Rear camera? I want to add this to mine but don't know where the harness is. I just looked at mine earlier, it does not appear to be pre-wired. Looks better! any source on how they did this. So our rear cams are wireless? Just keep me updated buddy by steps, I am doing the same thing. 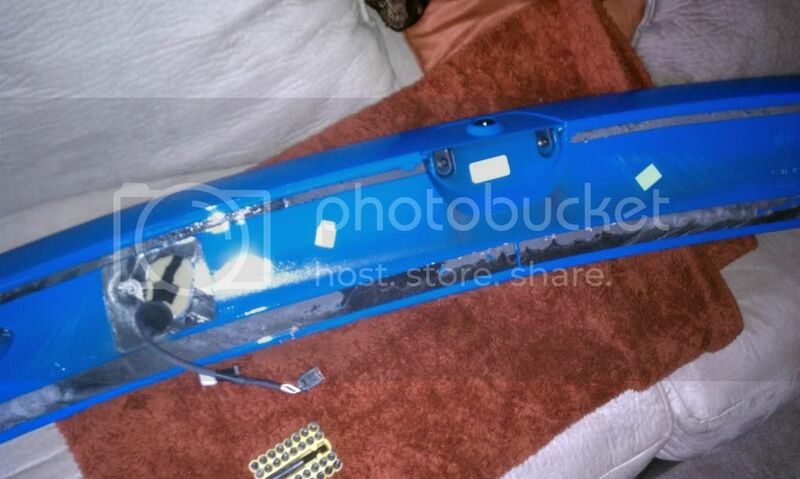 Well my spoiler arrived, I next have to remove the Nav unit to see what connector is required and determine if the spoiler wiring goes solely to the Nav or to other parts of the car too. I had forgot I even created this thread! I like the look of it actually being inside the GT500 spoiler. I will say that mine has had no problems with it since moving to the gas cap. 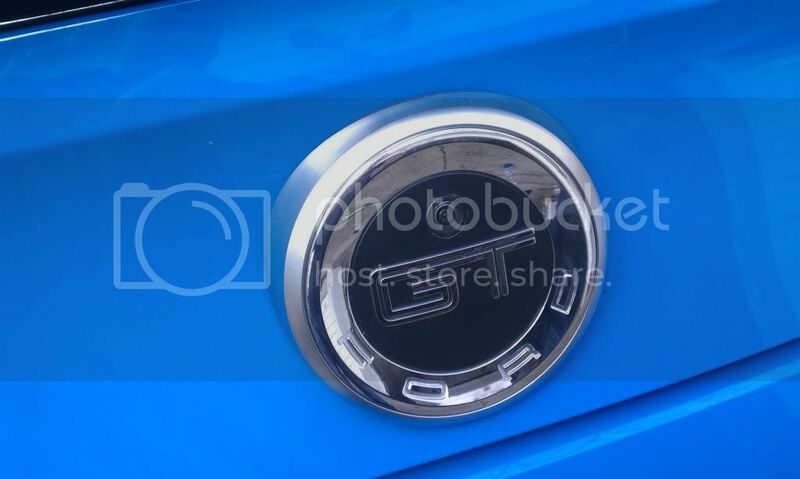 Not sure how to post the pic directly, but does anyone know which connector on the back of the nav unit in this link is used for the camera? And SR330 thanks for this thread! I like the idea of having it in the spoiler too, I will do it in May, I just need to know how the dude in the picture fit it in there. 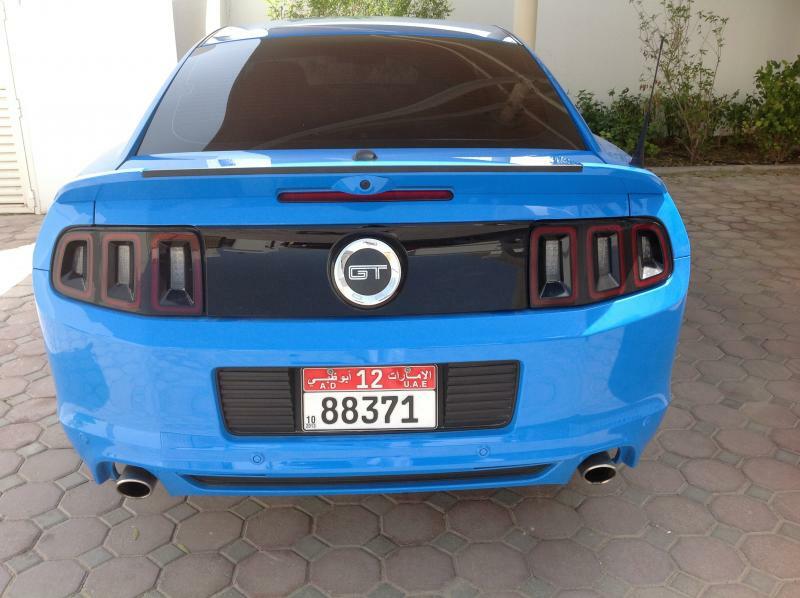 I'm the one who fabricated the Rear View Camera into the GT500 spoiler. I posted my build on TruForums. 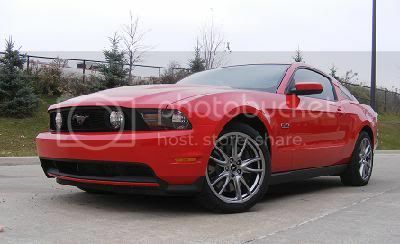 I'm actually going to be selling it and would like to get a hold of a stock Kona Blue spoiler with rear view camera. Gonna sell the car and need to get it back to stock. If any of you are interested, we can work something out. Also, if you guys need some advice, I'd be more than happy to help. I am doing this very soon, I will follow your steps, what did you use to cut the spoiler? I mean I can really do it but all extra info are welcome, I will also update this thread. The only thing I need to be careful at is matching the color, I assume you ordered the spoiler un-painted? Yes, I bought the spoiler unpainted. I also had to cut my stock spoiler; hence me needing the stock one. Right now I'm a tad busy, but I can go into full detail when my schedule clears up. I'll try to come back during the weekend.